کالیفورنیا بیلیم‌یوردو (اینگیلیسجه: University of California, فارسجا: دانشگاه کالیفرنیا‎، عربجه: جامعة كاليفورنيا‎)آمریکانین اوکلند شهرینده یئرلشن بیر عالی تحصیل موسّسه‌سی. کالیفورنیا بیلیم‌یوردو ۱۸۶۸ -جی میلادی ایلده قۇرولوب. عۆمومی و دؤولتی‌ اؤیره‌تیم قۇرومودیر و بودجه‌‌سینی دؤولت و بؤیوک شیرکت‌لر و خالقدان آلدیغی اعانه‌لرله تامین ائدیر. قارداش پروژه‌لرده کالیفورنیا بیلیم‌یوردو گؤره داها آرتیق بیلگی‌لر تاپابیلرسینیز. University of California Office of the President, Policy on Representation of the University on Letterhead and Business Cards, September 28, 1999. University of California. (2016). Academic Salary Scales For Lecturers with Security of Employment. (PDF). یوْخلانیلیبJune 25, 2016. Annual Endowment Report, Fiscal Year Ended June 30, 2015. Chief Investment Officer of the Regents of the University of California. University of California Nobel Laureates. UC Regents. یوْخلانیلیبAugust 29, 2016. Schevitz, Tanya; Wallack, Todd (December 22, 2005). "Conflict of interest found for UC provost / Despite violations, she got paid leave and offer of new job". San Francisco Chronicle. Retrieved February 9, 2008. Schwab, Dave (24 January 2014). "10 years later, Chancellor's house finally becomes a home". SDNews.com (San Diego Community News Group). Retrieved 14 January 2016. Stadtman, Verne A. (1970). 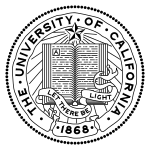 The University of California, 1868–1968. New York: McGraw-Hill. pp. 400–420. "Duties of the Chancellors", Standing Order 100.6 of the Regents of the University of California.